Last week we made these fun and easy to make balloon bean bags. I didn't really have any specific ideas about what we would do with the bean bags, so I took my cue from the girls to see what they would do with them. 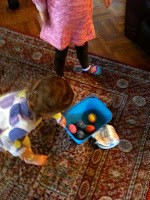 After a few (rainy) days of playing here are 6 bean bag games that we have enjoyed. 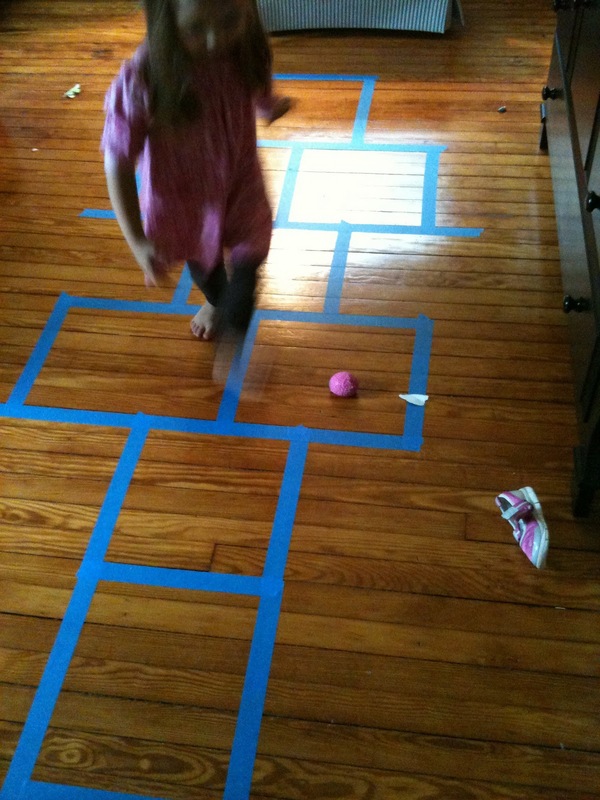 1) Hopscotch- We made a hopscotch board using painters tape on the floor in the Bee's bedroom. The girls then used the bean bags to mark which squares not to jump in. 2) Collecting- The Bean is all about collecting so her favorite game has been to walk around with a plastic basket and collect all the bean bags only to then dump them back out on the floor and start again. 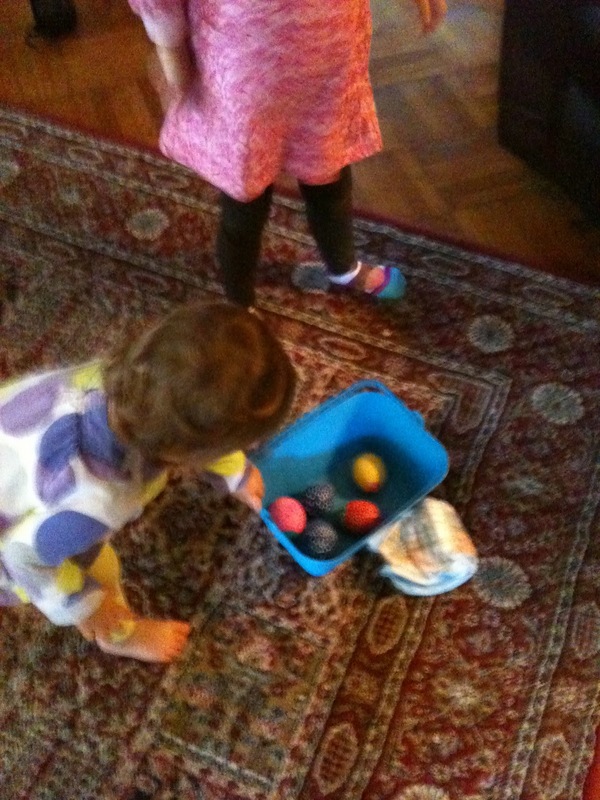 3) Hide-n-Seek- Just like an easter egg hunt the girls have been hiding the bean bags around the house and then finding them again. 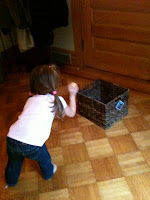 4) Sorting Box- Using box cutters, I cut several squares into the bottom of a cardboard box and the girls had a great time putting the bean bags into the holes and then lifting up the box to find all the bean bags inside. 5) Bowling- This game could be done with lots of objects, but we selected to use plastic Little People since we have a good collection. We lined the little people up on the floor, a job the Bean really liked and then rolled the bean bags to knock them down like bowling pins. The girls thought that knocking over the little people was hysterical and got a huge kick out of this game. 6) Toss- The Bean was not as interested in this game, but the Bee really liked the challenge of getting the bean bag into the basket. 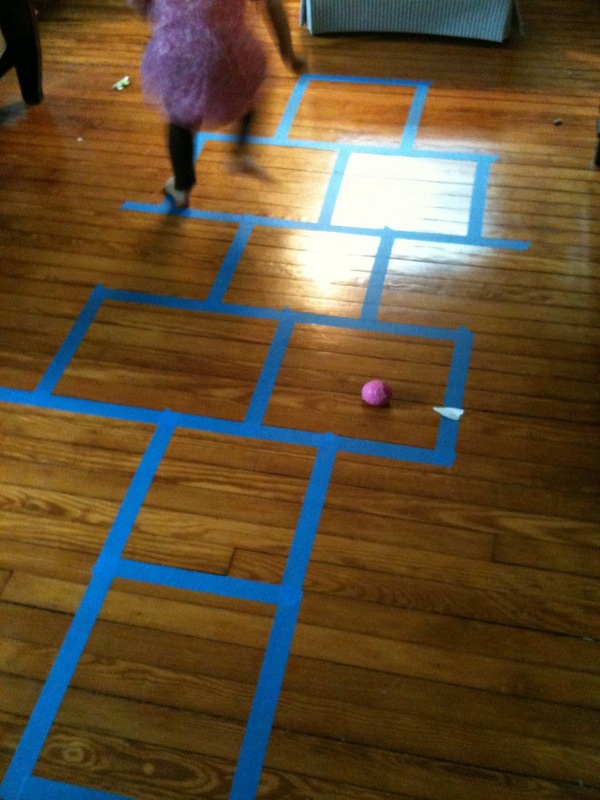 My favorite part of these games is that the girls came up with most of these activities with very little direction from me and in the process came up with many more creative uses for the bean bags then I would have on my own. Do you have bean bags at your house? What games do you play with them? some thing that is informative & interesting. Excellent work. This is very awesome post! Its really great.your post is highly informative and impressive also.